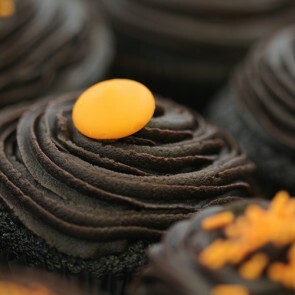 Capture the essence of summer with our lovely collection of fruit flavoured cupcakes to offer something extra special. Real fruit puree is injected into airy sponge cake for a delightful fruity surprise in the first bite. Topped with swirls of velvety soft, whipped buttercream frosting and a colourful windfall of sprinkles, these delectable treats will be an instant hit. Perfect for lovers of those heady summer days of tangy fruits and deliciously zesty berries, they will be coming back for more again and again. 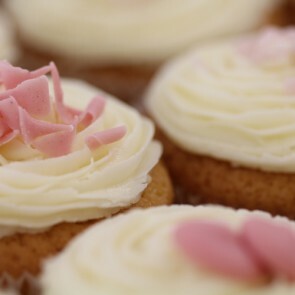 All of our handmade cupcakes are extensively taste tested (the perfect excuse to eat more) so that you have the most tantalising flavour experience with every bite. Deliver a box of these fruity goodies directly to a loved one’s door or hand them over yourself (If you can resist them) to see the look on their face as they take their first flavourful mouthful. Want to send fruit filled cupcakes to a friend or relative in London or the UK? Order fruity flavours online, including Strawberry, Raspberry and Blueberry. Available with next day delivery or on the date of your choice. 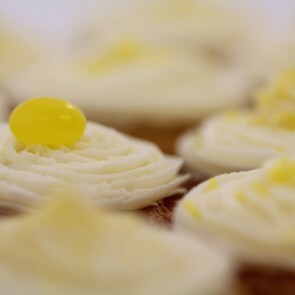 We produce cupcakes and other baked goods from the finest carefully sourced ingredients. We don't outsource our baking or decorating - everything is done by our fantastic production team. 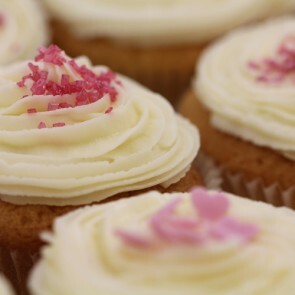 Our philosophy is to create beautiful handmade cupcakes that taste as good as they look. Try one and see for yourself! © 2015 The Little Cupcake Company Ltd. All Rights Reserved.